I was experimenting in the kitchen the other day and came up with a winner soup! 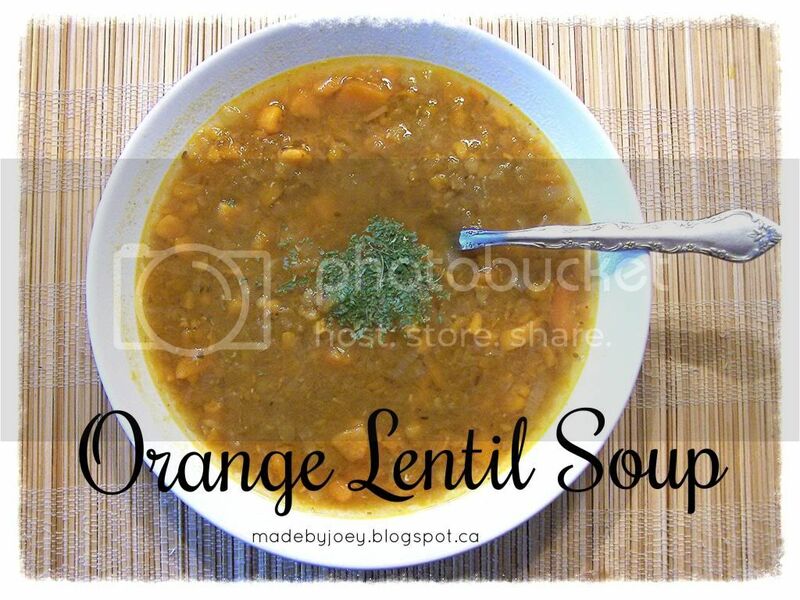 The name may be a bit deceiving as there is no orange fruit in the recipe just lots of delicious orange ingredients - red lentils, butternut squash, yams, and carrots yummy! Bring to a boil and then simmer on low for 30 mins. I used a potato masher to make the chunks of cooked vegetables a bit smaller just before serving. I hope your family enjoys it too!